Marcus & Marcus bamboo fibre dinner sets are made in food safe bamboo fiber. 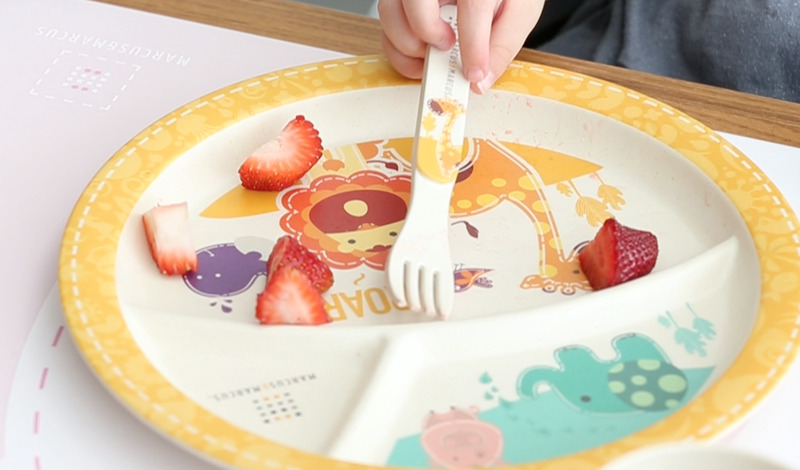 This five piece set comes with a divided plate, fork, spoon, cup and placemat. These products are biodegradable, dishwasher safe, BPA/PVC free.